Start an emergency fund: Minimally, you should try to have an emergency fund with enough to pay up to three months worth of bills (i.e., mortgage or rent, utilities, auto payments, etc.). It’s this type of breathing room that can come in handy in the event of an unexpected auto or home repair, or if the unthinkable happens and you found yourself out of work for a period of time. A lack of an emergency fund can cause you to take out loans when the unexpected occurs, which can leave you playing catch up when the dust settles. 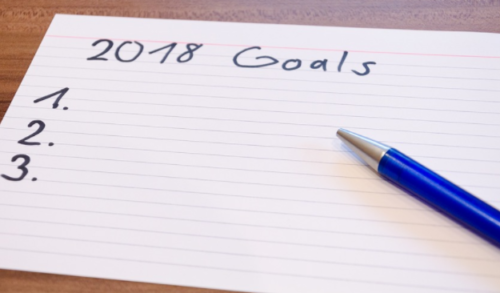 Set a budget (and stick to it): Come up with a list of financial goals that you want to accomplish (i.e., investments, retirement savings, pay off loans, etc.). Then, come up with a reasonable monthly budget that can permit you to meet said goals and do your best to stick to it. Not setting a budget can be the start of a slippery slope into debt. Consider using a mobile app like Mint to manage everything. Don’t oversubscribe: Entertainment these days comes at a price. And while the likes of Netflix, Hulu, HBO Now, Amazon Video and other services may not cost a lot individually, together they can add up. In order to stay true to your budget, consider only subscribing to one or two premium services at a time. That’s one of the best things about said services – you can cancel and restart them at any time. Set automatic payments for your bills: Making on time payments is the single-largest category that impacts your FICO score, and late payments can cause your score to take a serious hit. On that note, let technology work for you when it comes to making on time payments and set up automatic payments online. This way, you’ll never have to worry about missing a payment again. Refrain from charging: To continue the theme of setting a budget and sticking to it, we challenge you to only charge what you know you can pay off. Going overboard on credit card spending can spiral out of control and cost you a lot more long-term. If you have credit card debt accrued, commit to paying off the cards with the highest interest rates first to save more in the long run. Follow the above five tips and you can make 2018 a financially prosperous one.